Tim Holtz MINI DISTRESS INK PADS SET 1 THROUGH 15 Ranger MINIS1TO15 at Simon Says STAMP! MINIS1TO15 This item is on reserve until If you would like to reserve this item now, you may purchase it now with the rest of your order. We will hold your order now and ship your entire order as soon as this item is back into stock. If you would like your order to ship now, please place this item on a separate order. 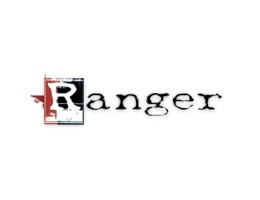 Success, Tim Holtz MINI DISTRESS INK PADS SET 1 THROUGH 15 Ranger MINIS1TO15 has been shared! Mini Distress Ink Pads feature a raised felt pad making it easy to use on smaller craft projects. Pads can be easily re-inked with the coordinating Distress Ink Re-inker. The small size makes these pads quite convenient for projects on the go! Don’t let the small size fool you. The Mini Distress Pad can be used in all the creative ways as their full size counterpart. Perfect to use with our new Mini Ink Blending Tool. 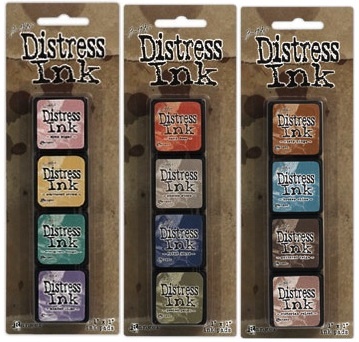 60 Mini Distress Ink pad colors are currently available in 15 kits with 4 pads each.